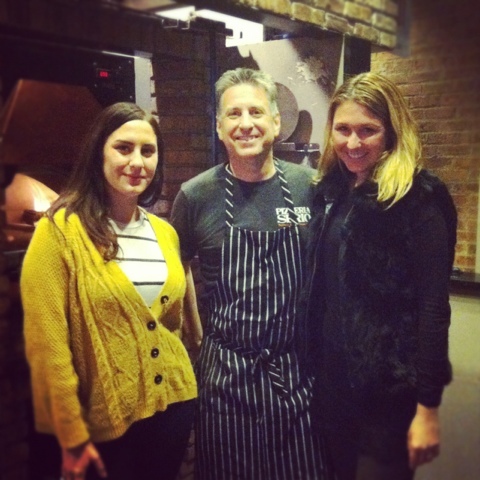 I was recently lucky enough to be invited to make pizza with Scott Toth, founder of Pizzeria Serio. After learning that Steve Dolinsky, The Hungry Hound, placed Pizzeria Serio on his list of best pizzas in Chicago, I became very curious. This cozy pizza restaurant, equipped with a full bar, is nestled on Belmont Avenue in Lakeview. Upon first meeting Scott, it was very clear that he is man who loves pizza. We talked for a bit about what style of pizza he prefers to call his own, and the truth is his pizza doesn’t seem to fit into one particular style. The best way to describe it would be to call it, in general, an east coast style pizza. As Scott said, his pizza could be placed somewhere in the bracket of New York or New Haven style, “NeapolAmerican,” as he calls it. Scott has a lot of reason to take as much pride in his pizza as he does. We started out by stretching out the dough. 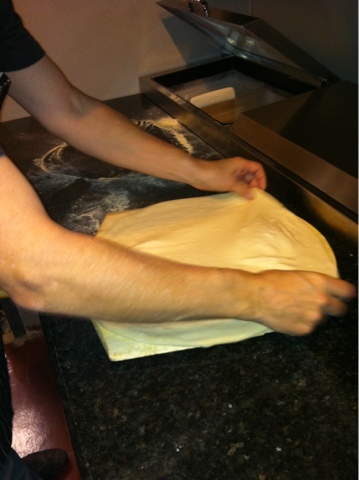 I could tell he could probably stretch the dough with his eyes closed; the process seemed very methodic. 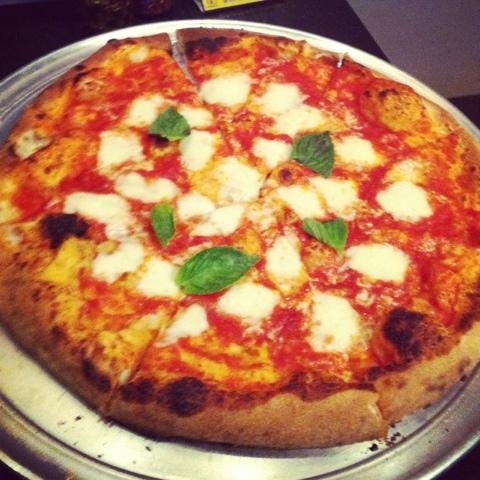 After the dough was laid out, we decided to go for the Margherita, a Neapolitan classic. Scott definitely stressed the quality of ingredients. 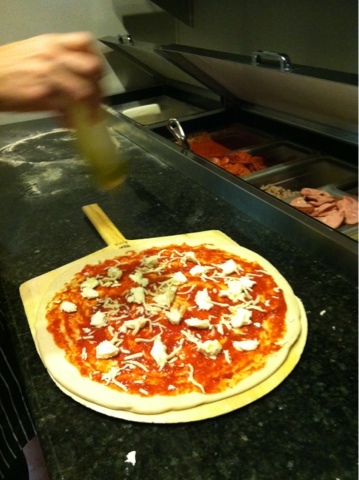 He uses plum San Marzano tomatoes and premium mozzarella. 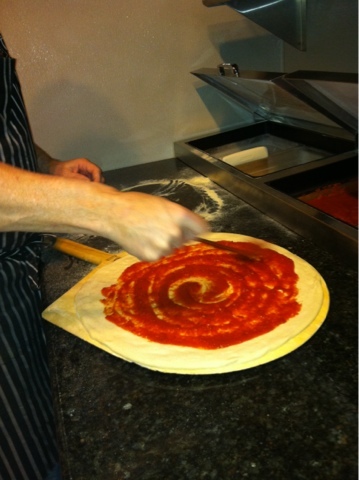 Because the base ingredients he uses for his pizza are of such high caliber, Scott insisted the process of making a great pizza relies on keeping things simple. 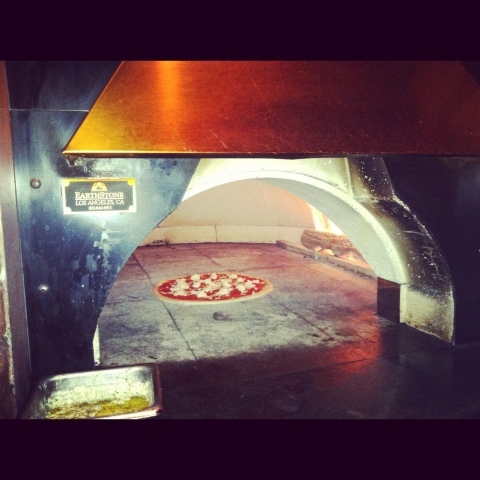 With the pizza ready to go, we moved over to brick oven, which is an obvious focal point in the restaurant. 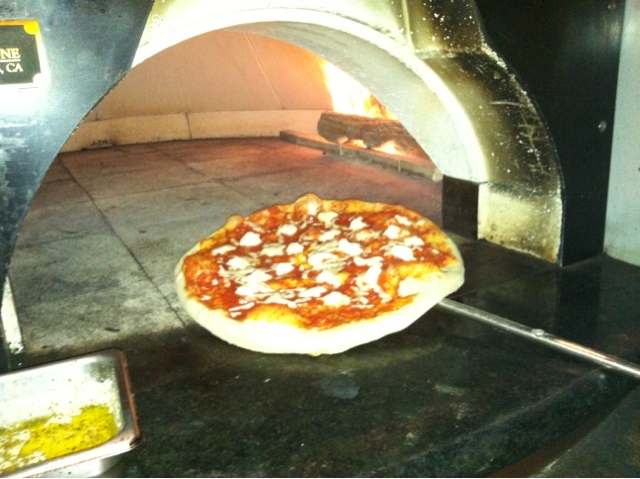 The pizza cooked for approximately 6-8 minutes at 800 degrees. Once the pizza started bubbling up, we took it out, and Scott threw on some fresh basil leaves on it as a finishing touch to our Margherita pizza. The pizza was the perfect ratio of crust, sauce, and mozzarella, simply delicious. So delicious, I could not stop eating it. In Chicago, everyone wants to have the last word on what makes a good pizza. Regardless of what style of pizza you hold allegiance to; it cannot be denied that Pizzeria Serio puts out a great product. With high quality ingredients, a pizza aficionado as a founder, and that magical brick oven, how could this place go wrong?